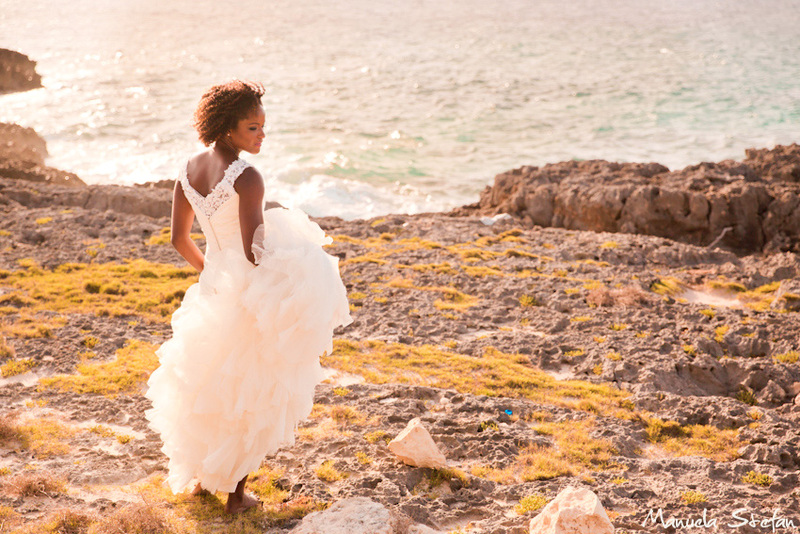 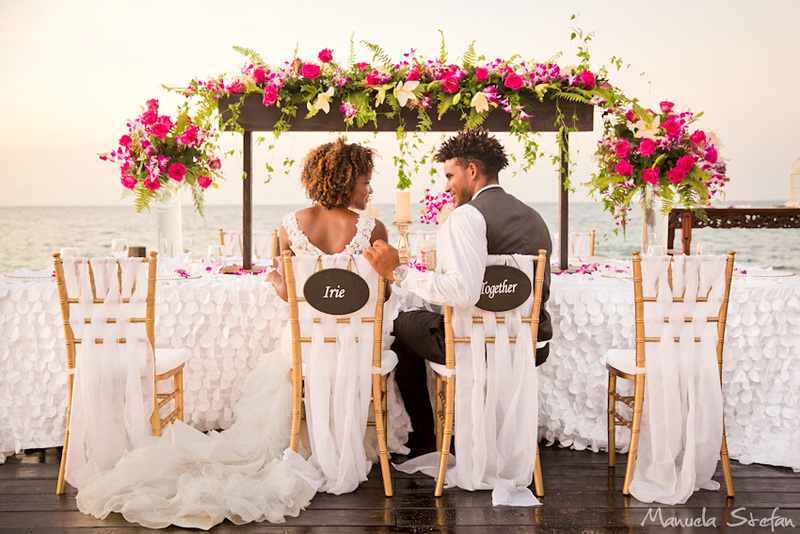 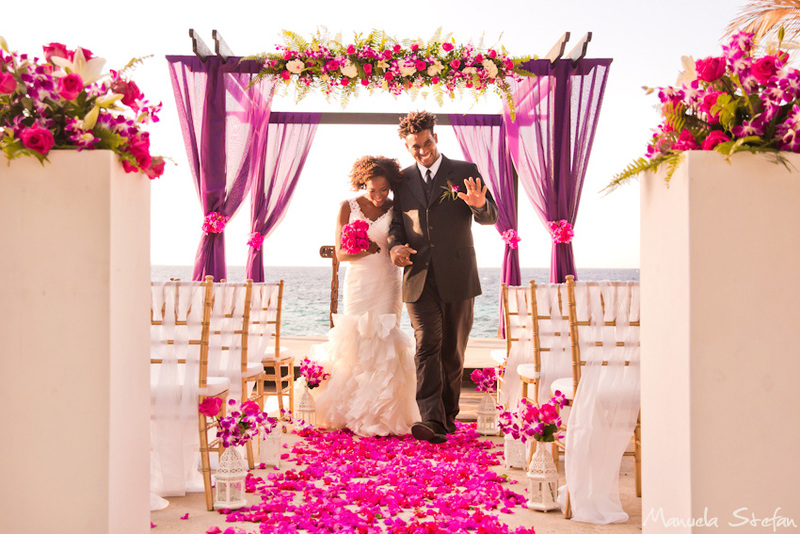 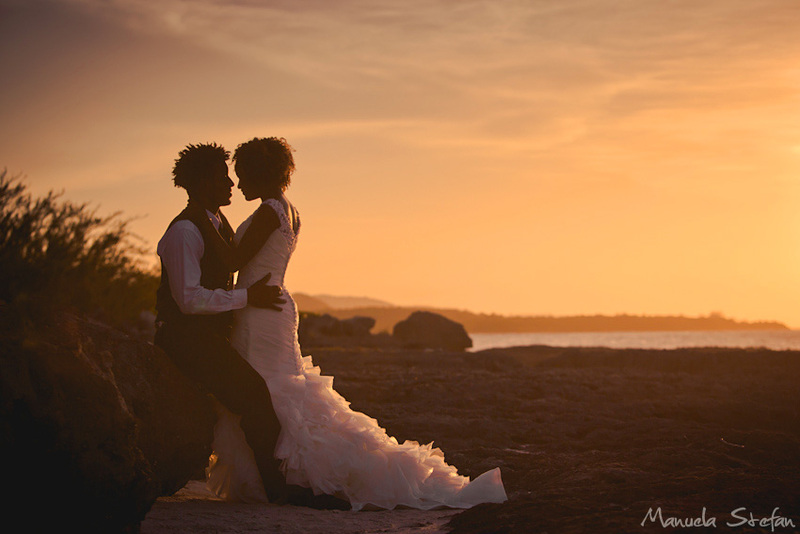 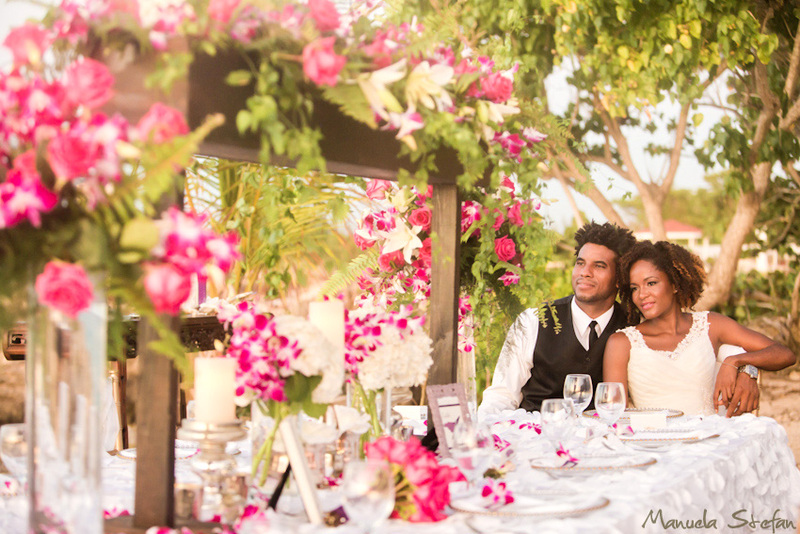 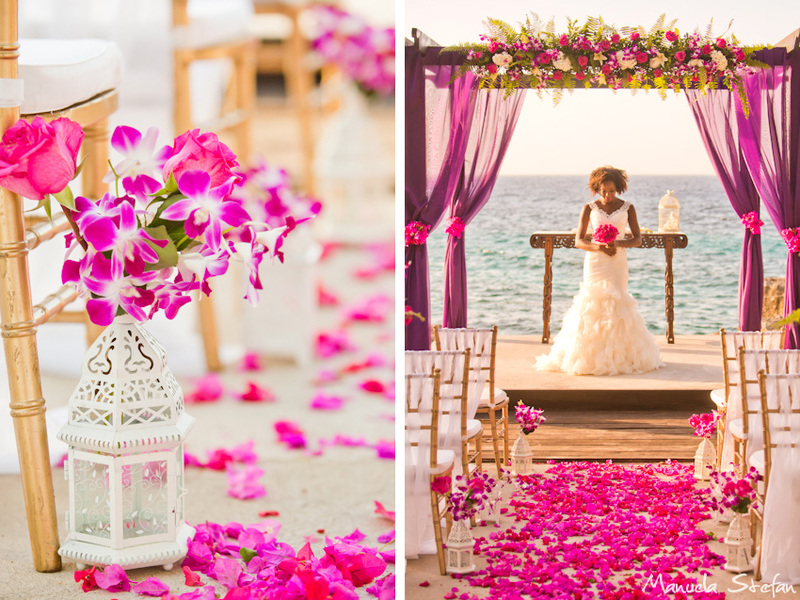 Located on the Northern coast of Jamaica, ‘Borghinvilla’ is a spectacular wedding venue, with an exquisite blend of the most desirable details in one place: two acres of lush tropical gardens, cliffs, a sand beach and breathtaking views of the Caribbean sea. 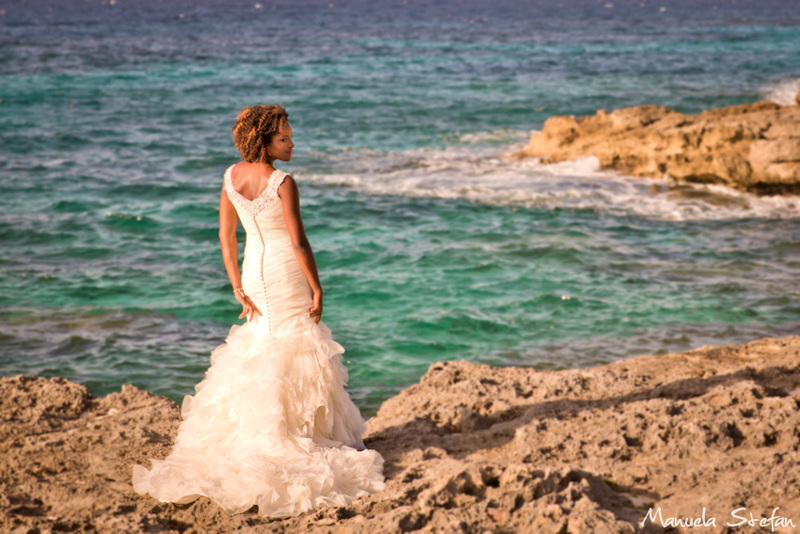 I was extremely excited and inspired to work on a very unique photo shoot concept, imagined and designed by Jennifer Borgh Events: a marijuana infused wedding. 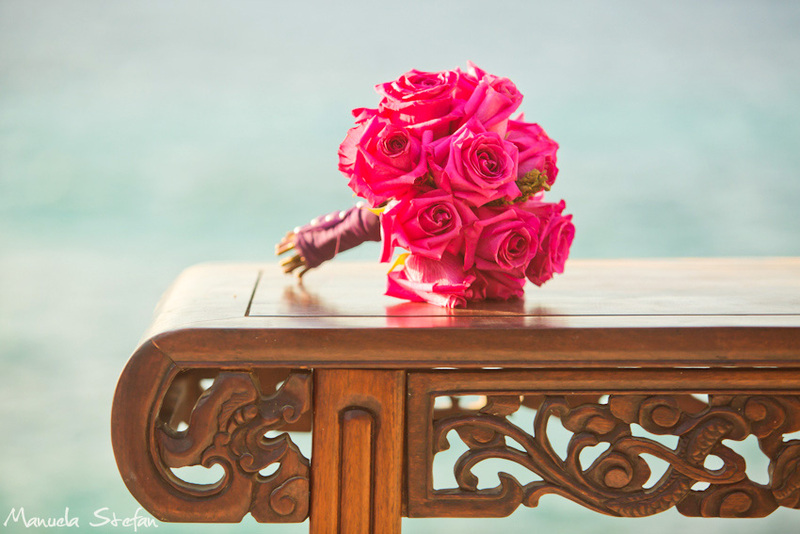 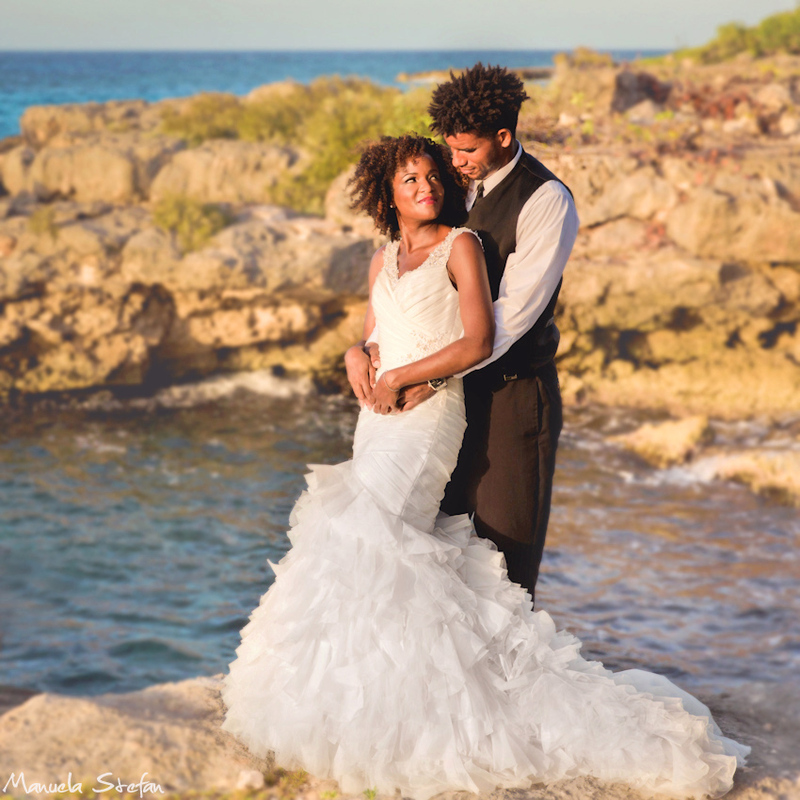 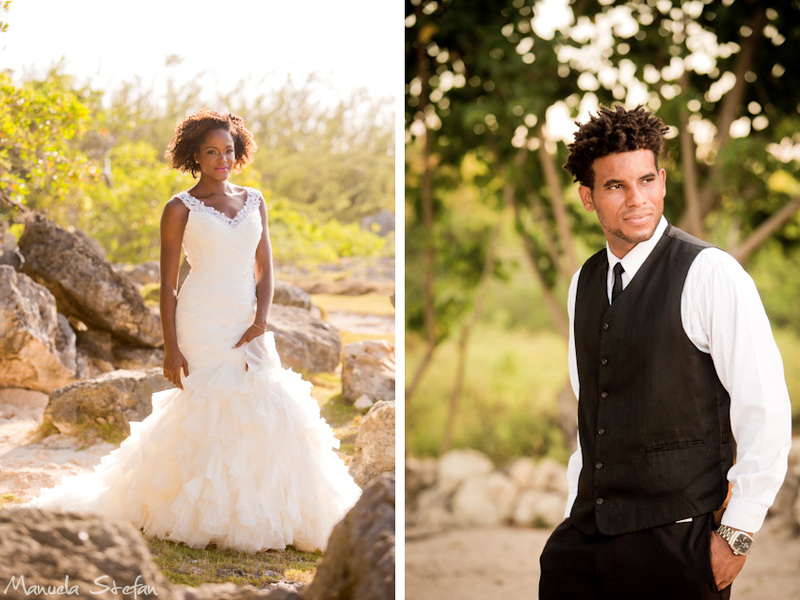 The aesthetic wasn’t compromised and the couple was able to have an elegant destination wedding, while enjoying the legal limits of marijuana in Jamaica. 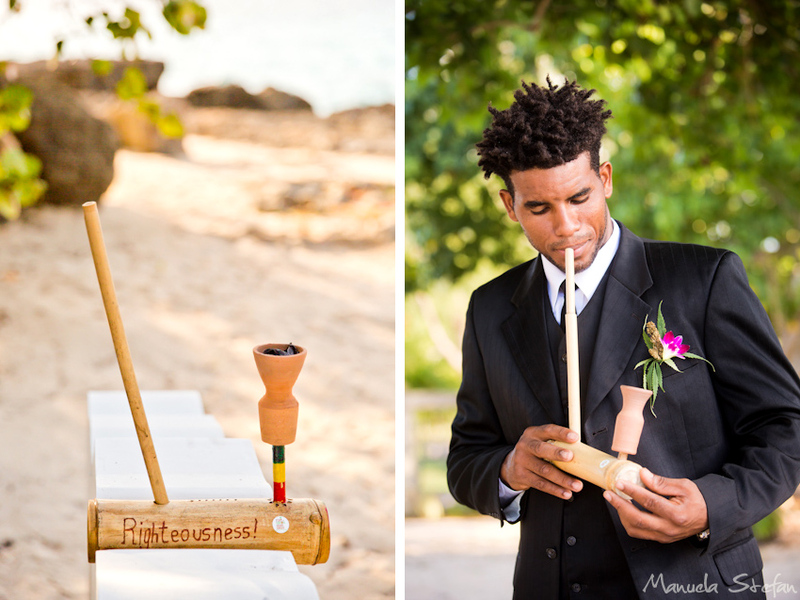 Incorporating a few items allowed this couple to enjoy a touch of Marijuana in the bouquet, boutonniere, potted plants, cake, pipes and even a Ganja Rolling Station. 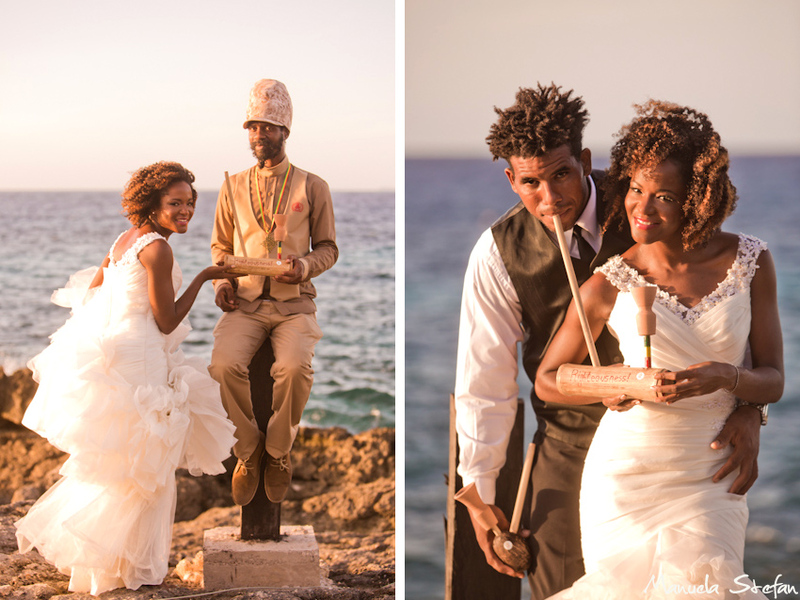 Although Jamaica has been known for its cannabis production, it wasn’t until the recent decriminalization that the doors were opened for a Weed Wedding in Jamaica. 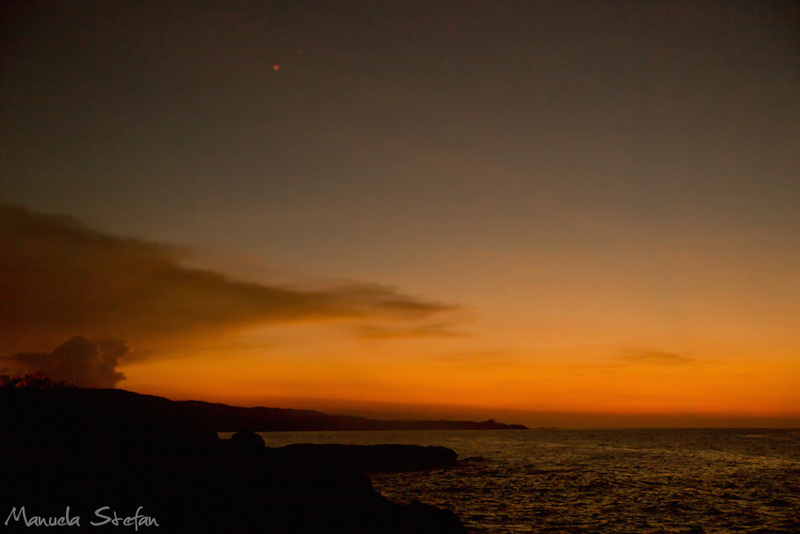 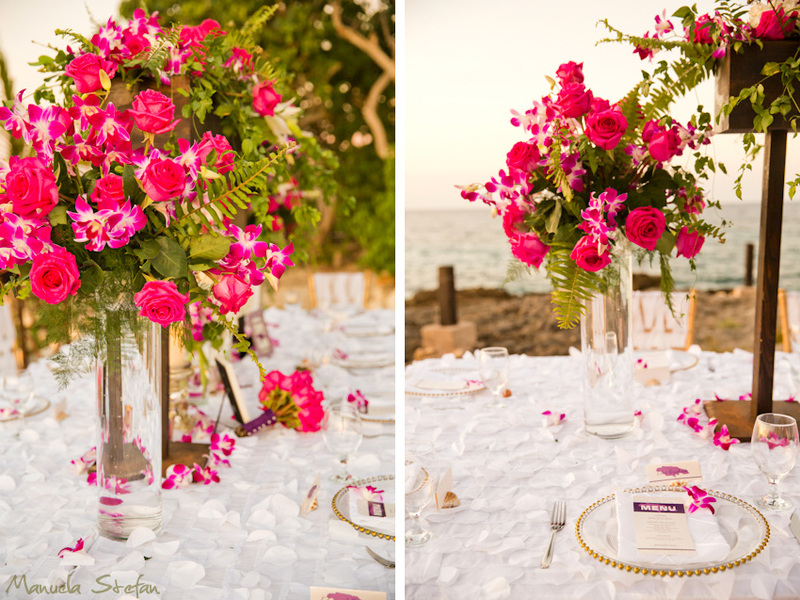 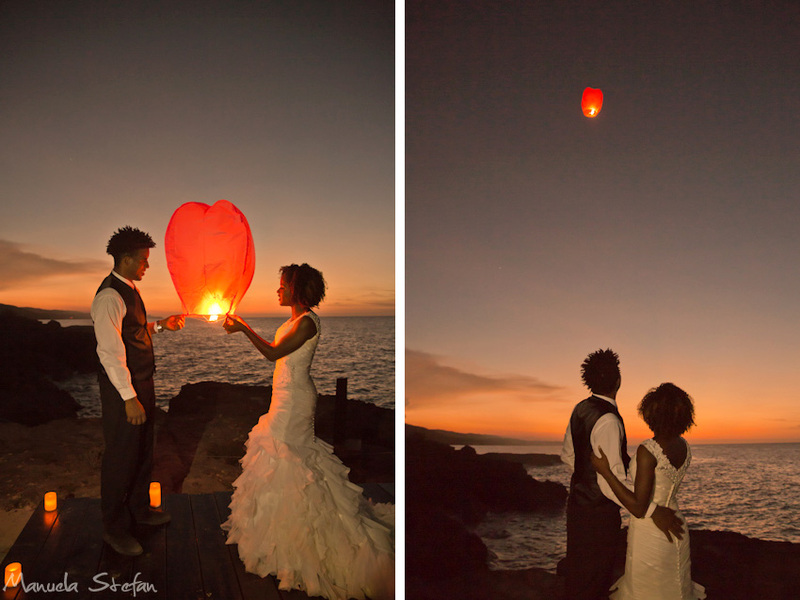 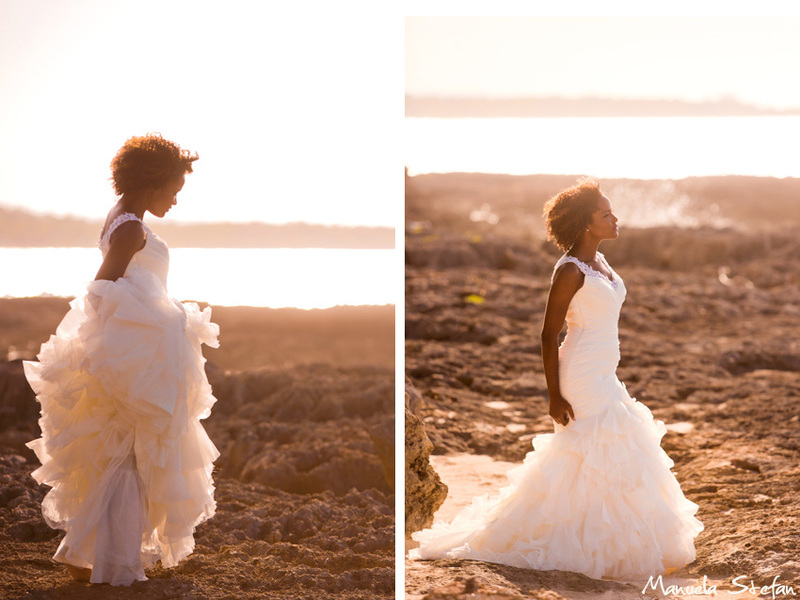 The sunset reception included a stunning intimate sea side dinner with luxurious decor. 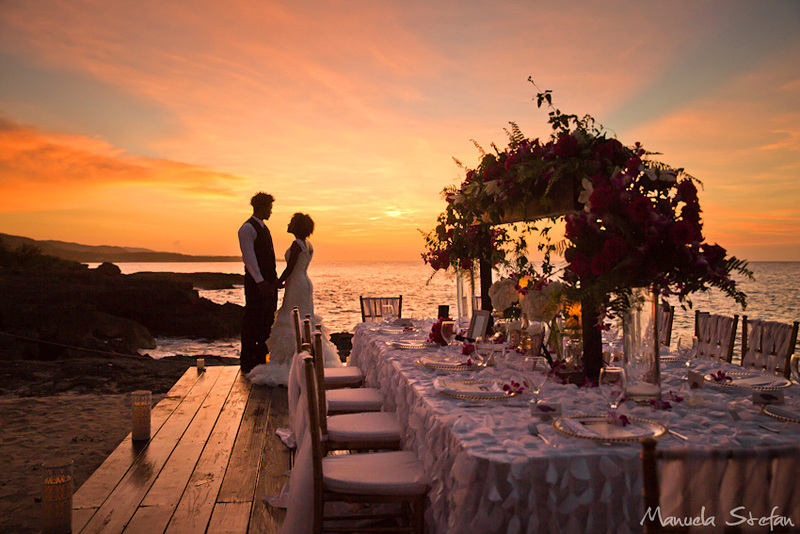 A truly impressive dining experience, especially for those guests who chose to enhance their wedding experience with the favours that were provided!